Adjunct Associate Professor Soon Jia Lin is a Senior Consultant with the Department of Cardiothoracic Surgery at the National Heart Centre Singapore. He is also Director, Cardiothoracic Residency Training in the Cardiovascular Sciences Academic Clinical Programme. Adj Assoc Prof Soon is trained in cardiac thoracic and vascular surgery, and has sub-specialty interests in aortic surgery, valve surgery and heart failure therapies. He has successfully performed many pioneering Asia-first procedures. He is a proctor for the Transcatheter valve procedure and has trained many new centres in Asia. 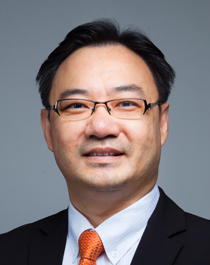 Adj Assoc Prof Soon graduated with his Bachelor of Medicine and Surgery from the University of Melbourne in 1998 and obtained his Master of Medicine (Surgery) from the National University of Singapore in 2004. He has been a Member of the Royal College of Surgeons, Edinburgh, UK since 2004 (General Surgery), and a Fellow of the Royal College of Surgeons, Edinburgh, UK since 2008 (Cardiothoracic Surgery JCST-AMS Exit examination Gold Medalist). He was recipient of the Singapore Ministry of Health scholarship for advanced surgical training in Aortic root, Heart failure, and Transcatheter valve procedures in the U.K. and Canada. Adj Assoc Prof Soon has developed the new Cardiothoracic Surgery residency training system into a respected programme by the RCSEd. His academic interest and collaborations with research groups at the National University of Singapore, Duke-NUS, Imperial College London, and St Paul’s hospital Vancouver have led to a wide range of both basic science and clinical publications. Reducing radiation dose and contrast volume in preprocedural MDCT prior to transcatheter aortic valve replacement using modified protocol in s single centre. WS Lee, JS Ho, SY Tan, SH Ewe, KW Ho, SJT Chua, L Baskaran, FK Cheah, CY Liu, JL Soon. Manuscript submitted to Clinical Cardiology. Regulation of blood pressure by targeting Cav1.2-Galectin-1 protein interaction. Wang, Suet Yen Chong, Dejie Yu, Xiaoyuan Wang, Jia Lin Soon, Mui Cheng Liang, Yuk Peng Wong, Na Huang, Henry Colecraft, Ping Liao. 2018. Revised manuscript submitted to Circulation. IL11 is a crucial determinant of cardiovascular fibrosis. Sebastian Schafer, Sivakumar Viswanathan, Anissa A Widjaja, Wei-Wen Lim, Aida Moreno-Moral, Daniel M DeLaughter, Benjamin Ng, Giannino Patone, Kingsley Chow, Ester Khin, Jessie Tan, Sonia P Chothani, Lei Ye, Owen J L Rackham, Nicole S J Ko, Norliza E Sahib, Chee Jian Pua, Nicole T G Zhen, Xie Chen, Mao Wang, Henrike Maatz, Shiqi Lim, Kathrin Saar, Susanne Blachut, Enrico Petretto, Sabine Schmidt, Tracy Putoczki, Nuno Guimarães-Camboa, Hiroko Wakimoto, Sebastiaan van Heesch, Kristmundur Sigmundsson, See L Lim, Jia Lin Soon, Victor T T Chao, Yeow L Chua, Teing E Tan, Sylvia M Evans, Yee J Loh, Muhammad H Jamal, Kim K Ong, Kim C Chua, Boon H Ong, Mathew J Chakaramakkil, Jonathan G Seidman, Christine E Seidman, Norbert Hubner, Kenny Y K Sin, Stuart A Cook. Nature. 2017 Dec 7;552(7683):110-115. doi: 10.1038/nature24676. Epub 2017 Nov 13. Novel use of low-dose thalidomide in refractory gastrointestinal bleeding in left ventricular assist device patients. Seng BJJ, Teo LLY, Chan LL, Sim DKL, Kerk KL, Soon JL, Tan TE, Sivathasan C, Lim CP. Int J Artif Organs. 2017 Oct 27;40(11):636-640. doi: 10.5301/ijao.5000620. Epub 2017 Jul 11. Percutaneous Decommissioning of Left Ventricular Assist Device. Soon Jia-Lin, Tan Ju-Le, Lim Choon-Pin, Tan Teing-Ee, Sivathasan Cumaraswamy, Sim Kheng-Leng David. Heart Lung Circ. 2017 Aug 19. pii: S1443-9506(17)31344-6. doi: 10.1016/j.hlc.2017.07.011. [Epub ahead of print]. Asia’s First Transapical Transcatheter Mitral Valve-In-Ring Implantation. Jia-Lin Soon, Kay-Woon Ho, See-Hooi Ewe, Blanke P, Chao TT, Tan SY, Lim ST, Sin YK. Ann Acad Med Singapore. 2017 Aug;46(8):327-328. Pang PY, Wee GH, Huang MJ, Hoo AE, Tahir Sheriff IM, Lim SL, Tan TE, Loh YJ, Chao VT, Soon JL, Kerk KL, Abdul Salam ZH, Sin YK, Lim CH. Therapeutic Hypothermia May Improve Neurological Outcomes in Extracorporeal Life Support for Adult Cardiac Arrest. Heart Lung Circ. 2017 Aug;26(8):817-824. Epub 2017 Jan 17. Aberrant Splicing Promotes Proteasomal Degradation of L-type CaV1.2 Calcium Channels by Competitive Binding for CaVβ Subunits in Cardiac Hypertrophy. Hu Z, Wang JW, Yu D, Soon JL, de Kleijn DP, Foo R, Liao P, Colecraft HM, Soong TW. Sci Rep. 2016 Oct 12;6:35247. Asia’s First Minimal-Access Left Ventricular Assist Device Implantation. Jia-Lin Soon, Teing-Ee Tan, Choon-Pin Lim, Kheng-Leng David Sim, Hazel Su-Pin Chan, Ka Lee Kerk, Cumaraswamy Sivathasan. Ann Acad Med Singapore. 2017 Jun;46(6):256-257. Percutaneous transcatheter aortic valve implantation for degenerated surgical bioprostheses: the first case series in Asia with one-year follow-up. Chiam PT, Ewe SH, Soon Jia-Lin, Ho KW, Sin YK, Tan SY, Lim ST, Koh TH, Chua YL. Singapore Med J. 2016 Jul;57(7):401-5. Epub 2016 May 19. Virtual Planning of CABG and PCI: A Validation of Patient-Specific Computational Hemodynamic Analysis. Jun-Mei Zhang, Tong Luo, Jia Lin Soon, Ning Kang, Kenny Yoong Kong Sin, Swee Yaw Tan, Victor Tar Toong Chao, Teing Ee Tan, Chong Hee Lim, Mathew Jose Chakaramakkil, Yeow Leng Chua, Aileen Mae Lomarda, Ru San Tan, Ghassan S. Kassab, Liang Zhong. Eur J Cardiothorac Surg (Manuscript submission). 2015. Comparison of hemodynamic parameters of venous and arterial coronary artery bypass conduits. Zhang JM, Chan CJH, Kang N, Soon JL, Sin KYK, Chao VTT, Tan TE, Lim CH, Chakaramakkil MJ, Ooi ASW, Chua YL, Tan RS, Zhong L. Annals of Academy Medicine Singapore 2016 Aug:45(8);369-372. Alternative splicing generates a novel truncated Cav1.2 channel in neonatal rat heart. Liao P, Yu D, Hu Z, Liang MC, Wang JJ, Yu CY, Ng G, Yong TF, Soon JL, Chua YL, Soong TW. J Biol Chem. 2015 Apr 3;290(14):9262-72. Minimal Access Left Ventricular Assist Device Implantation. Anson Cheung, Jia-Lin Soon, Jamil Bashir, Annemarie Kaan, Andrew Ignaszewski. INNOVATIONS (Technology and Techniques in Cardiothoracic And Vascular Surgery). Jul/Aug 2014;9:281-5. Surgical risk algorithm as a measure of successful adoption of transapical transcatheter aortic valve implantation. Lichtenstein KM, Kim JM, Gao Min, Soon JL, Cheung A, Wood D, Webb JG, Ye J. J Thorac Cardiovasc Surg. 2014;147:1524-8. Asia’s First Successful Minimally Invasive Transapical Transcatheter Mitral Valve-in-Valve Implantation. Jia Lin Soon, Yeow Leng Chua, Victor TT Chao, Paul TL Chiam, See Hooi Ewe, Ving Yuen Seetho, Chung Yin Lee, Swee Yaw Tan, Tian Hai Koh, Kenny YK Sin. Ann Acad Med Singapore. Feb 2013;42(2):85-7. Transatrial transcatheter tricuspid valve-in-valve technique. Anson Cheung, Jia-Lin Soon, John G Webb, Jian Ye. Journal of Cardiac Surgery. Mar 2012;27(2):196-8. Transapical transcatheter aortic valve-in-valve implantation: Clinical and hemodynamic outcomes beyond 2 years. Ye J, Webb JG, Cheung A, Soon JL, Wood D, Thompson CR, Munt B, Moss R, Lichtenstein SV. J Thorac Cardiovasc Surg. 2012 Jun 12;145(6):1554-62. Minimal Access Left Ventricular Assist Device Explantation. Anson Cheung, Jia-Lin Soon. INNOVATIONS (Technology and Techniques in Cardiothoracic And Vascular Surgery). Jul 2012;7(4):300-2. Paradoxical emboli from left superior vena cava causing recurrent brain abscess. Ch’ng JK, Soon JL, Lim CH. Singapore Med J 2012;53(1):e21-23. Transapical Transcatheter Aortic Valve Implantation In The Presence Of Mitral Prosthesis. Jia Lin Soon, Jian Ye, Samuel V Lichtenstein, David Wood, John G Webb, Anson Cheung. J Am Coll Cardiol. Aug 2011;58(7):715-21. Combined Bipolar and Unipolar Radiofrequency Maze Is Superior To Unipolar Technique In Concomitant Surgical Treatment Of Atrial Fibrillation. Chua YL, Soon JL, Masakasu N, Lim SL. Proceedings of Singapore healthcare. 2011;20(4):245-53. Local Suture Annuloplasty For Posterior Mitral Valve Repair: 18-year experience. Jia-Lin Soon, Xin Du, Xu-Yu Jin, Brian Shine, Shirley Upton, Ravi Pillai. Asian Cardiovascular and Thoracic Annals. Feb 2011;19(1):20-6. Continuous absorbable suture technique for tracheobronchial sleeve resections. Chakaramakkil MJ, Jim LY, Soon JL, Agasthian T. Asian Cardiovasc Thorac Ann. Feb 2011;19(1):44-7. 3f Prosthesis Aortic Cusp Replacement: Implantation Technique and Early Results. Ravi Pillai, Chandana Ratnatunga, Soon JL, Hassan Kattach, Amina Khalil , XY Jin. Asian Cardiovascular and Thoracic Annals. 2010;18:13-16. Clinical Outcomes of Video Assisted Thoracoscopic (VATS) Thymectomy for Myasthenia Gravis and Thymoma. T Agasthian, Soon JL. Asian Cardiovasc Thorac Ann. Jun 2010;18(3):234-9. Absence of Calcium Channel α-1C Subunit Mutation In Human Atrial Fibrillation. Jia-Lin Soon, Liao Ping, Yeow-Leng Chua, Tuck-Wah Soong, Kenny Sin Yoong-Kong. Asian Cardiovasc Thorac Ann. Aug 2010;18(4):349-53. Advantages Of Sutureless Aortic Valve In An Unsuspected Pheochromocytoma Patient. Jia-Lin Soon, Fiona A. Gibson, Shirley Janas, Ravi Pillai. Innovations (Technology and Techniques in Cardiothoracic And Vascular Surgery). Jul/Aug 2010;5(4):306-8. Harmonic Scalpel In Video-assisted Thoracoscopic (VATS) Thymic Resections. Soon JL, T Agasthian. Asian Cardiovascular and Thoracic Annals. 2008;16(5):366-9. Thoracic Complications of Radiofrequency Ablation of Recurrent Hepatoma. Soon JL, Premaraj J, T Agasthian. The Annals of the Academy of Medicine, Singapore. Jan 2008;37(1):75-2. Total Tracheal Resection for Long-Segment Benign Tracheal Stenosis: Case Report. Soon JL, T Agasthian. Annals of Thoracic Surgery. Feb 2008; 85(2):654-6. A smooth muscle Cav1.2 calcium channel splice variant underlies hyperpolarized window current and enhanced state-dependent inhibition by nifedipine. Ping Liao, Dejie Yu, Guang Li, Tan Fong Yong, Jia Lin Soon, Yeow Leng Chua, Tuck Wah Soong. Journal of Biological Chemistry. Nov 2007;282(48):35133-42. Paradoxical orthodeoxia in a patient with a large thoracic aortic aneurysm. JL Soon, RS Tan, BH Kwek, DCE Ng, YL Chua. The Annals of the Academy of Medicine, Singapore. Mar 2007;36(3):203-05. Paradoxical orthodeoxia in a patient with a large aortic aneurysm -reply. Soon JL. Tan RS. Ng DC. Kwek BH. Chua YL. Annals of the Academy of Medicine, Singapore. Jun 2007;36(6):454-1. Peripheral cardiopulmonary bypass-assisted thymoma resection. Soon JL, Koong HN, Lim CH, R Poopalingam, T Agasthian. Journal of Cardiothoracic and Vascular Anesthesia. Dec 2007;21(6):867-9. Asymptomatic Spontaneous Pneumothorax in Anterior Chest Wall Hypoplasia. Ng SW, Soon JL, T Agasthian, Tan BK, C Soong. Plastic and Reconstructive Surgery. Dec 2007;120(7):2123-5. Unresectable Desmoid Tumours Causing Obstructive Uropathy in Familiar Adenomatous Polyposis: Case report and Review of Literature. JL Soon, KO Lau, F Seow-Choen, WS Cheng Christopher. The Asian Journal of Surgery. Jul 2005;3:136-140. Tarsometatarsal joint injuries--review of clinical presentation and surgical treatment. SY Loh, JL Soon, W Verhoeven. Medical Journal of Malaysia. Mar 2005; 60(1):71-5. Surgical Fixation of Intra-articular Fractures of the Distal Humerus in Adults. JL Soon, BK Chan, CO Low. INJURY (International Journal of the Care of the Injured). Jan 2004;(35):44-54. Peri-operative application of intra-aortic balloon pump in high-risk coronary artery bypass grafting. Wang Yun, Cai Yaolong, Xiong Zhuowei, Zhao Zuodong, Sun JiaLin. Journal of Xi’an Jiaotong University (Medical Sciences), Peoples Republic of China. Dec 2003;24:20-2. A Case of Bizarre Parosteal Osteochondromatous Proliferation of the Hands (Nora’s Lesion). JL Soon, HC Chang, CS Sim, LC Teoh, CO Low. Singapore Medical Journal. Jan 2003; 44(1): 27-30. Mild to moderate aortic stenosis and coronary bypass surgery. Xin Du, Jia Lin Soon. J Cardiol. Jan 2011;57(1):31-5. Transcatheter aortic valve replacement: where will we be in 5 years? Anson Cheung, Jia-Lin Soon. Current Opinion in Cardiology. Mar 2011;26(2):106-112. Aortic valve replacement versus transcatheter aortic valve implantation: Patient selection. Jian Ye, Jia Lin Soon, John Webb. Ann Cardiothorac Surg. 2012;1(2):194-9. Transapical aortic valve implantation in the presence of a mitral prosthesis. Jia Lin Soon, Jian Ye. Ann Cardiothorac Surg. 2012;1(2):257-9. Transcatheter Aortic Valve Implantation: End of aortic valve replacement surgery? Medical Grapevine Asia July 2012:10-11. Aortic Aneuryms: Hidden dangers to the heart. Millionaire Asia 2015. Book chapter: Concomitant surgical atrial fibrillation ablation during cardiac surgery. In Managing the heart valve patient: How we do it. Chua Yeow Leng, Soon Jia Lin, Lim See Lim, Masakazu Nakao, Chen Yangtian, Yap Yen Ping. 2013;Vol2: 434-9.